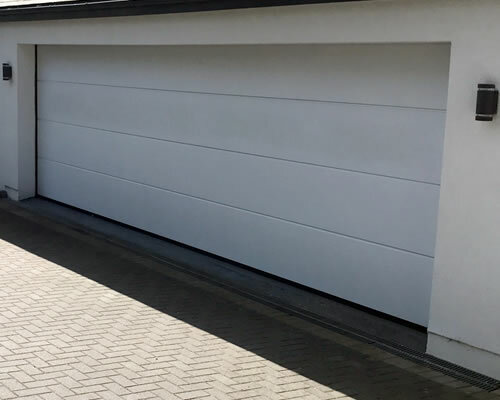 Strobe Security Solutions is a North Wales leading installer and maintainer of sectional garage doors. Sectional doors are space-saving allowing you to park right in front of the door. These doors can also be fitted to any opening shape because they are fitted behind. Automatic sectional doors are great for security as they are sealed at the top and sides. Anything that is outside in all winds and weather and has to work perfectly day after day needs an especially robust design. That’s why all of our steel sectional garage doors are double-skinned and insulated.